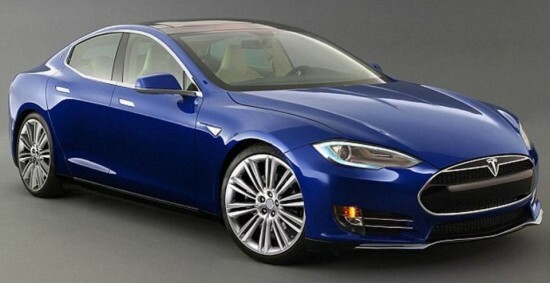 Render of the speculated Model 3 design. On Thursday night, Elon Musk and his team at Tesla (NASDAQ:TSLA) are expected to reveal their latest electric car, the Model 3 at their Hollywood-style presentation on the SpaceX campus. The company has released barely any information on the new car however it is thought to be a scaled-down, more affordable version of Tesla’s $70,000 Model S. Up to now Tesla has stated that the vehicle will have a range of 200 miles on one single electric charge, and will be as priced as low as $35,000. In addition, buyers could potentially be given $10,000 in federal sales incentives and tax breaks. The vehicle, which as of yet has not been unveiled to the general public or offered to the automotive media also has not been commercially produced yet. Customers who make a purchase of the first model are only likely to receive their car by the end of 2017. It could take longer as Tesla has previously had development issues with prior models such as the “Falcon Wing” which was delayed by over 18 months. Tesla has hinted that it anticipates thousands of orders for the new car with some analysts estimating as many as 100,000 in the first 24 hours. In spite of the potentially large amount of initial orders many critics have said the Model 3 may be too late to fend off competitors of other affordable electric cars. General Motors announced in 2015 its plans to also produce a 200-mile-range plug-in electric car, known as the Chevy Bolt which would be sold at a price point of $37,500 towards the end of 2016. Despite GM saying that the car will only be produced at the end of this year there is a consensus that the Bolt will hit the road quicker than Tesla’s Model 3. Other automotive manufacturers such as Mercedes-Benz, Audi, BMW and others are also developing longer range plug-in cars. Tesla has released some teaser images of the new vehicle which hint that it is shorter and slimmer than the Model S whilst smaller than Tesla’s big SUV-like Model X. Some investors are concerned that Model S sales have started to become flat whilst the Model X has disappointed the market. The Model 3 could potentially become a make or break product for the electric car producer. Analysts have said that Tesla could see significant success if it can reach the mass car market. Shares in the company have been volatile, reaching a high of $280 in July 2015 then sinking to $143 in February when Tesla reported an unexpectedly large loss in the fourth quarter. Receive Tesla Motors News & Ratings Via Email - Enter your email address below to receive a concise daily summary of the latest news and analysts' ratings for Tesla Motors with MarketBeat.com's FREE daily email newsletter.